Metal Pallet as a flat transport structure that supports goods in a stable fashion while being lifted by a forklift, etc. A pallet is a structural foundation of a unit load which allows handling and storage efficiencies. 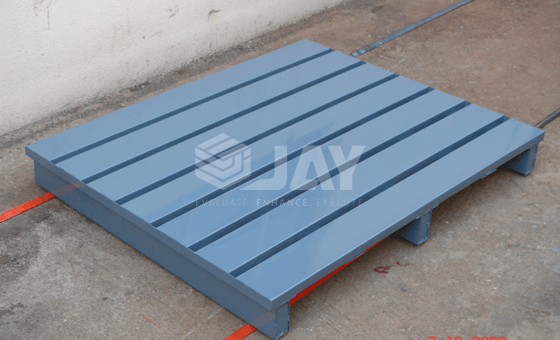 Metal Pallets have various advantages over other types of pallets. 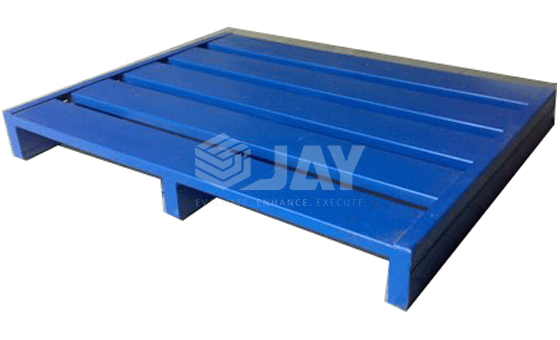 Jay storage solutions provide you the best quality of steel or any metal pallet. Contact us for more details. Stronger than wood or plastic pallets. weather resistant and they do not rot or decay.